Prime Minister Sheikh Hasina on Sunday greeted the country’s freedom fighters (FFs) on the occasion of the 48th Victory Day, UNB reports. 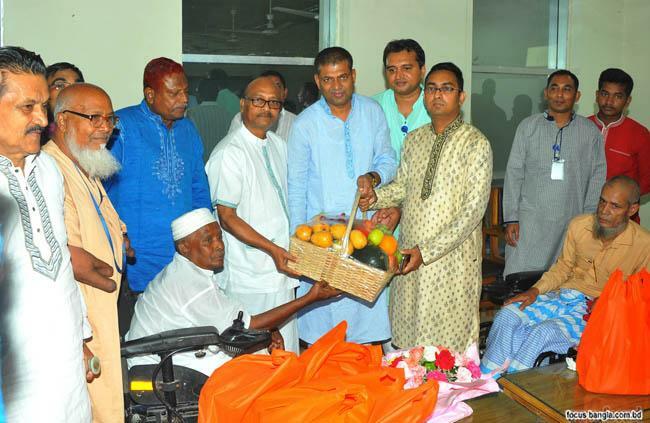 As on the previous occasions, the Prime Minister sent flowers, fruits and sweetmeats to the war-wounded FFs at Martyred and War-wounded Freedom Fighters' Rehabilitation Centre (Muktijoddha Tower-1) at Gaznavi Road in the capital’s Mohammadpur area as a mark of her good wishes for them. Officials from the Prime Minister's Office, led by PM's Protocol Officer SM Khurshid-ul-Alam, handed over the items to the war-wounded FFs in the morning. The freedom fighters thanked and expressed gratitude to the Prime Minister for remembering them on every national day and festival like the Independence Day, the Victory Day, Eid and Pahela Baishakh. They also expressed gratitude to the PM for undertaking various steps for their rehabilitation, including the construction of Muktijoddha Tower-1, a 13-storey residential and commercial building, at Mohammadpur. The freedom fighters and their family members wished Sheikh Hasina good health and long life. There are residential flats and shops in the Muktijoddha Tower-1 for 80 families of the war-wounded FFs.